Michelle Stuart, Sayreville Strata Quartet, 1976, on view at Dia: Beacon, New York. Copyright Michelle Stuart, courtesy Leslie Tonkonow Artwork + Projects, New York. Leslie Tonkonow, founder of Leslie Tonkonow Artworks + Projects. 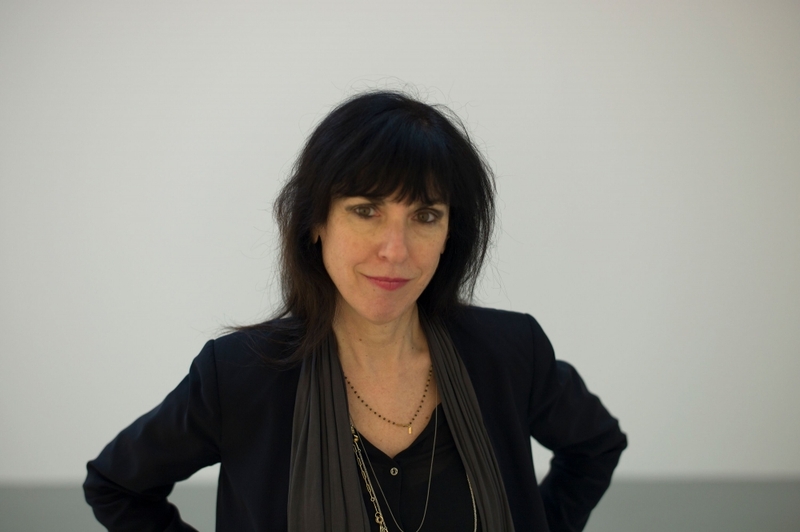 Founded by Leslie Tonkonow in 1997, Chelsea-based gallery Leslie Tonkonow Artworks + Projects has forged a distinct path, with a roster of artists who span generations. 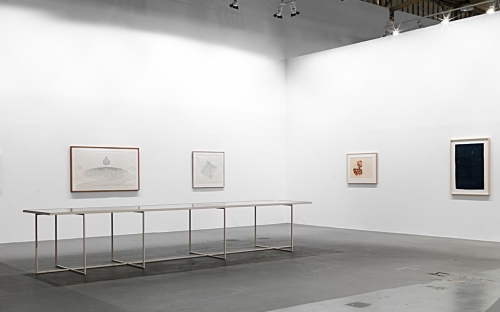 The gallery will present works by two pioneering female artists at Independent: Agnes Denes (b. 1931) and Michelle Stuart (b. 1933). We spoke with Tonkonow about the gallery’s twenty-year history, the place of feminist art within her program, and the relationship between Denes and Stuart. Michelle Stuart, Zacaba, Guatemala, 1978-79. Earth and graphite on muslin-backed rag paper. Copyright Michelle Stuart, courtesy Leslie Tonkonow Artworks + Projects, New York. Your background is originally as an artist: how did you wind up shifting towards becoming a gallerist? What prompted you to open your own space? I moved to New York in 1977 after completing my MFA in painting and began to show my work—video and mixed media pieces—in the early 1980s at alternative spaces and clubs like Artists Space, The Kitchen, The Mudd Club, etc. In 1984, just as the East Village art scene was taking off, I was offered the use of a small storefront on East 9th Street. Sensing a unique opportunity and moment in time, this quickly evolved into my first gallery, which I ran for three years without capital, experience, or clients but with lots of energy and motivation. I soon discovered how much I loved working with other artists and that the challenges of developing a gallery were just as creatively fulfilling as being in my studio. After closing the gallery in 1987, I commuted to Hartford where, as curator of exhibitions at Real Art Ways, I organized exhibitions and installations with a wide range of artists including General Idea, Nan Goldin, Wallace & Donohue, Group Material, Cary Leibowitz, Judith Barry, and many others. But it wasn’t until the fall of 1989, when I became director of Zabriskie Gallery—a blue-chip gallery in New York and Paris, specializing in Surrealism, Nouveau Réalisme, vintage and contemporary photography, and other modernist movements—that I made a full commitment to becoming a gallerist. 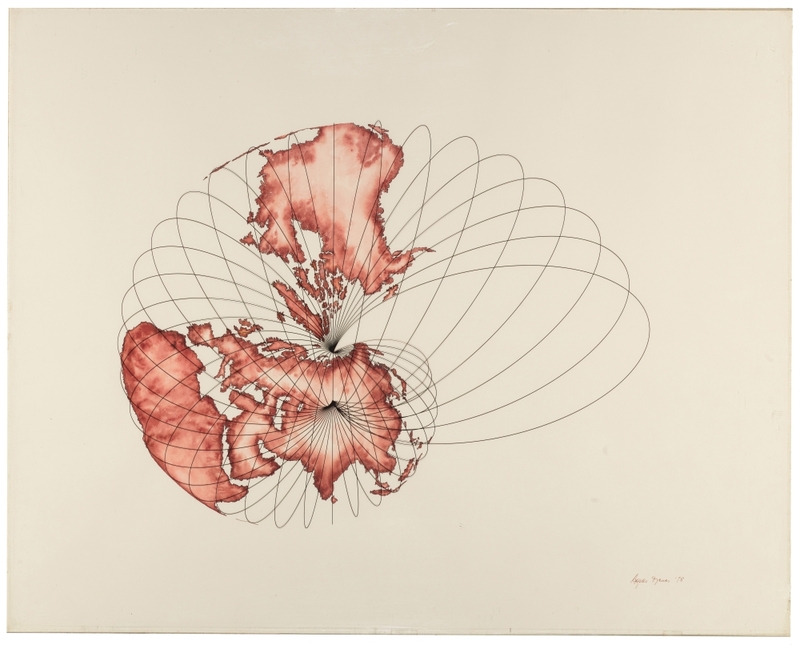 Agnes Denes, Isometric Systems in Isotropic Space - Map Projections: The Snail, 1978. Ink, watercolor on rag paper with printed Mylar overlay. Copyright Agnes Denes, courtesy Leslie Tonkonow Artworks + Projects, New York. You recently celebrated the gallery's 20th anniversary: what were the early years like? I opened my current gallery in 1997 on the twelfth floor of the Starrett Lehigh Building, an architectural landmark that occupies the entire block from West 26th to West 27th Street and Eleventh Avenue to the West Side Highway. The building had vast amounts of unoccupied space and the rent was $1.50 per square foot. I sublet part of a photographer’s studio to use as an office and viewing area for private dealing but quickly realized that there was enough space to also launch a serious exhibition program. 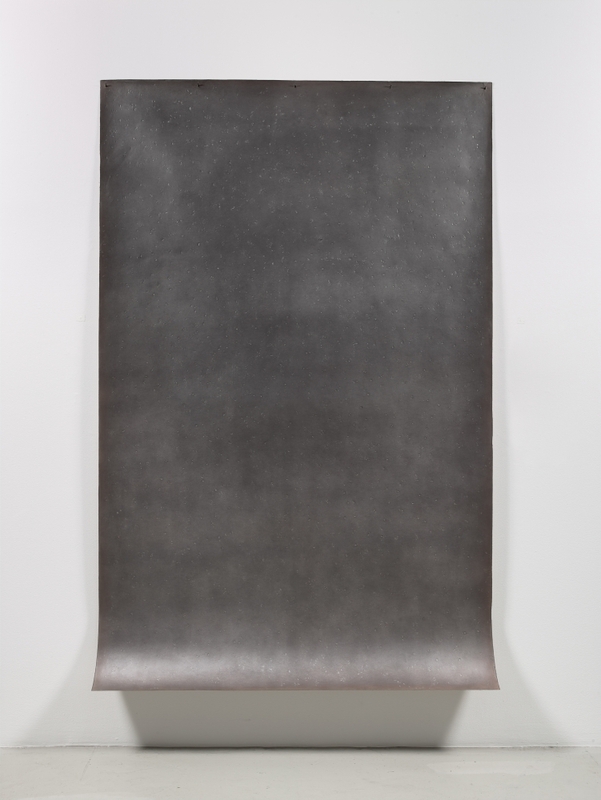 So while handling works privately by Dubuffet, Magritte, Man Ray, Fred Sandback, Sol LeWitt, Richard Serra, and others, I presented solo shows of early photographs by James Welling, drawings by Lawrence Weiner, and group shows such as The Cottingley Fairies and Other Apparitions, which included 19-century spirit photographs and images of otherworldly occurrences by artists and photographers ranging from Atget to Vik Muniz. There were only about fifteen galleries in Chelsea—it was still a bit of the Wild West (the pimps and hookers hadn’t been evicted from 26th Street yet). Gallery traffic was limited but extremely focused with wonderful visits from important collectors and curators. It was a very happy time for me. Installation view of Agnes Denes at documenta 14, Athens, 2017. Foreground on table: Citadel for the Inner City—The Glass Wall, 1976. Courtesy Leslie Tonkonow Artwork + Projects, New York. Can you reflect a bit on your first exhibition? The inaugural exhibition was Critical Images: Conceptual Works from the 1960s to the Present with works by Vito Acconci, John Baldessari, Robert Barry, Dan Graham, Douglas Huebler, Joseph Kosuth, Dennis Oppenheim, Lawrence Weiner, Hamish Fulton, Mary Kelly, Kay Rosen, Judith Barry, Renee Green, Tim Maul, and Robbins & Becher. I was able to secure a fantastic group of rare and important pieces. Holly Solomon was particularly generous in lending major works from her collection: Dennis Oppenheim’s iconic Reading Position for a Second Degree Burn, Robert Barry’s Xenon from the Inert Gas Series, among them. It would be impossible for me to duplicate that show today—which, by the way, received not a single review! 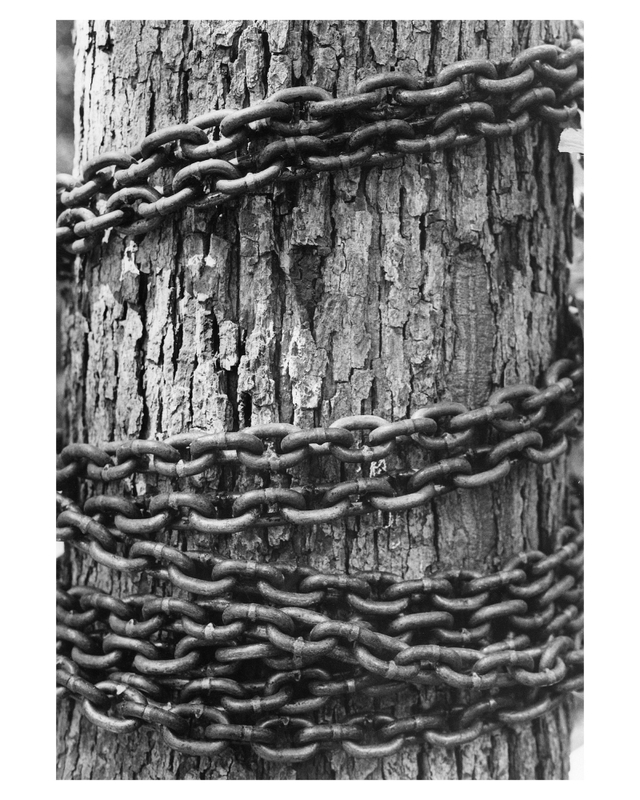 Agnes Denes, Rice/Tree/Burial (Chaining the Forest), 1977 (detail). Gelatin-silver prints. Copyright Agnes Denes, courtesy Leslie Tonkonow Artworks + Projects, New York. How has the gallery evolved since that first show? Do you see continuity between your interests and concerns in the first few years and the gallery's program today? The last twenty years have seen radical paradigm shifts in the way art is taught, produced, promoted, and consumed. In order to stay relevant—in, fact, in order just to stay in existence—it has been necessary to anticipate and adapt to these changes without losing one’s original sense of purpose. My interest in Minimal and Conceptual art of the 1960s and 1970s dates back to the years I spent in art school, the early to mid-1970s. I began primarily as a private dealer, focusing on drawings and photographic works of that period but the gallery quickly evolved to represent a diverse group of mid-career and, later, emerging artists. From the beginning, our program has included influential, conceptually-based artists who emerged in the 1960s and 1970s. My relationship with the Estate of the Fluxus pioneer Robert Watts dates back to 1990 when I organized an exhibition of his work for Galerie Zabriskie. We represented the pioneering video artist Peter Campus from 2002 to 2007. Agnes Denes joined the gallery in 2008 and Michelle Stuart in 2010. As the younger gallery artists have entered mid-career status, we’ve come full circle. Installation View of "Michelle Stuart: Works from the 1960s to the Present", Leslie Tonkonow Artworks + Projects, 2011: (left to right): 28 Moray Hill, 1974; Earth Diptych, 1968; Hyde Park Site Map, 1974. Courtesy of the artist and Leslie Tonkonow Artworks + Projects. Michelle Stuart, Pen Argyl Sunrise, 1976. Earth, pheasant feathers on muslin-backed rag paper. Copyright Michelle Stuart, courtesy Leslie Tonkonow Artwork + Projects, New York. How do you envision your role as a gallerist? I see myself in partnership with the artists but the specifics of my role changes depending on the needs of each person. Around two-thirds of the gallery's roster is made up of women artists: is that a conscious focus of the gallery and something you've intentionally fostered, or more of a happy accident? Do you think of your gallery and program as being explicitly feminist? I did not set out to establish a feminist agenda for my gallery. The reason that the majority of the artists I work with are women is not so much an accident as it is a reflection of the fact that there are many important and accomplished artists who happen to be women. Agnes Denes was a founding member of A.I.R., the first all-female cooperative gallery in the US. Michelle Stuart was an original member of the Heresies Collective. Kunié Sugiura came to this country in the early 1960s to attend art school—something that was almost impossible for women to do in Japan at that time. She has been a role model for younger Japanese women artists in New York for many years. All three of these artists self-identify as feminists but none create work that would be described as feminist art. On the other hand, several of the younger women in the gallery—Amy Cutler, Laurel Nakadate, and Saya Woolfalk—not only identify as feminists but also make work that specifically deals with gender politics and identity as well as feminist theory. Your presentation for Independent will bring together works by Michelle Stuart and Agnes Denes, two artists of the same generation who have been active for several decades. How did you begin working with these two artists? As a student in the 1970s, my exposure to contemporary art was primarily through the magazines—especially Artforum, which was how I first became aware of both Agnes Denes and Michelle Stuart. I saw Michelle’s work for the first time in Rooms, the inaugural show at PS1. The exhibition had a profound influence on the evolution of my thinking, and Michelle’s work strongly influenced my own at the time. She and I began to work together after she participated in a group show here in 2010. I was introduced to Agnes Denes by my husband, the curator Klaus Ottmann, who published a compilation of her writings. I had long admired her drawings but was initially unfamiliar with the expansiveness of her practice. Both Agnes and Michelle had long, successful exhibition careers dating back to the late 1960s and early 1970s. Michelle had worked with major galleries throughout Europe and the U.S. but Agnes had remained primarily independent until she joined this gallery in 2008. For the presentation at Independent, how did you decide to pair them? Have their careers regularly overlapped, or is the relationship you’re exploring more about affinities and shared interests you see in their work? Stuart and Denes are both groundbreaking, conceptually-based women artists who emerged at about the same time—in the late 1960s and early 1970s. But while they share certain concerns, their practices differ in significant ways. Michelle is recognized for her pioneering use of natural materials and her unique synthesis of drawing, sculpture, and photographic thinking. Agnes is acknowledged as the first artist to create performance-related site works with ecological concerns. Both artists, in their mid-80s, are incredibly vital, as they continue to evolve their work and artistic thinking. A selection of Michelle’s works from the 1960s to the present, with a major focus on her most recent photographic grids, was recently on view at the Venice Biennale. Agnes’s most recent site work, The Living Pyramid, originally commissioned in 2015 by Socrates Sculpture Park, was recreated at documenta 14 in Kassel with a group of important early drawings also on view in Athens. It has been extremely gratifying to have been able to introduce their work to new generations of curators and collectors.